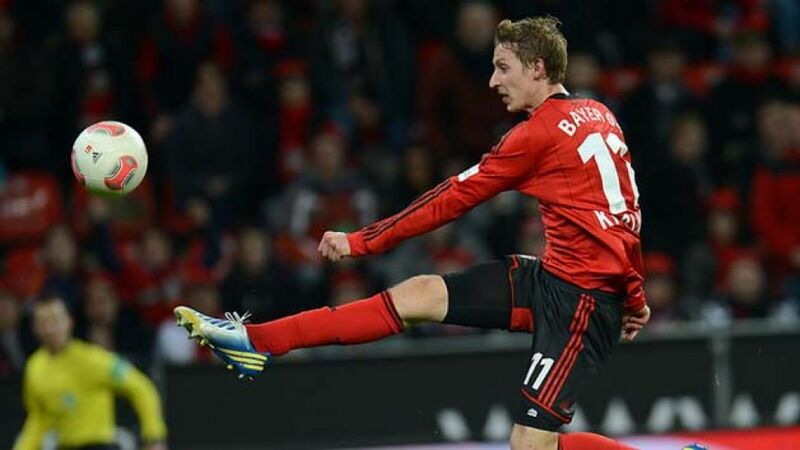 Munich - There are many one-hit wonders; strikers who come and go, scoring a glut of goals then enduring long droughts, but when it comes to consistency in finding the back of the net, look no further than Bayer 04 Leverkusen striker Stefan Kießling. He may not have won the golden boot award (yet), but no other Bundesliga player has been as prolific as the 6'4" Bavarian. Going into 2013, Kießling's name stands atop the Bundesliga goalscoring charts for the present season, but also for the calendar year 2012. With 25 goals in the past 12 months, the 28-year-old has an unrivalled eye for goal. To see Bayer Leverkusen in second place, the closest rivals to Bayern Munich, is a lot down to Kießling's goals, and efforts. "We can be happy," said the goalgetter. "The fact we have played some really good games shows how strong our team is, also in terms of our mentality." Football is a team game, but you still need somebody to tuck the ball into the back of the net and Kießling has shown this year that few are better at it than he. Europe is also getting to know the former 1.FC Nuremberg hitman more and more this year. With a goal in the UEFA Europa League, he has helped Leverkusen reach the last-32 of that competition, and in 2014, perhaps the rest of the world will get to see him at his prime. Kießling is becoming more and more a candidate for the Germany national team in the build-up to the FIFA World Cup in Brazil. He has already been capped six times, although his last appearance came in the last World Cup, when he participated in the third-place play-off against Uruguay. Six caps is decidedly little for a man with such a goalscoring record, but the national team is an issue which is starting to "frustrate" Kießling a little. He prefers to let the actions speak louder than any words can, and the interpretation of his form so far lead to the obvious conclusion that cap number seven is just around the corner.